Let's talk about 3Bjunior here! 3Bjunior - a new project proposed by Stardust Promotion, aiming for unit debuts through dance and vocal lessons. 1. 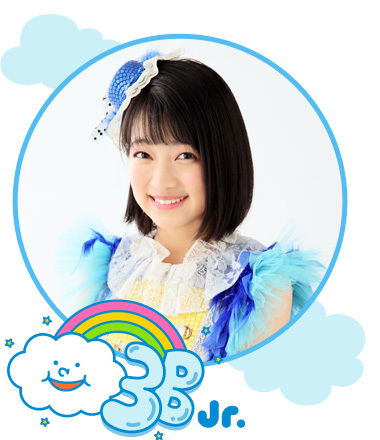 Aira (愛来) - Born December 8, 2002. 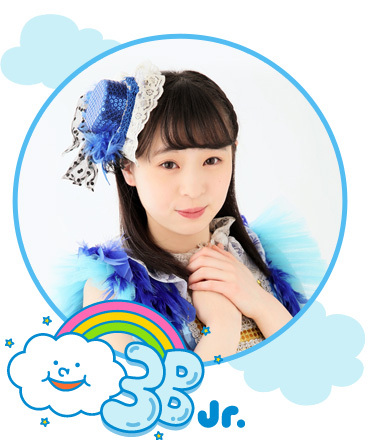 Former Minitia Bears and Kagajo4s member, was featured in Nanairo no Stardust. 2. 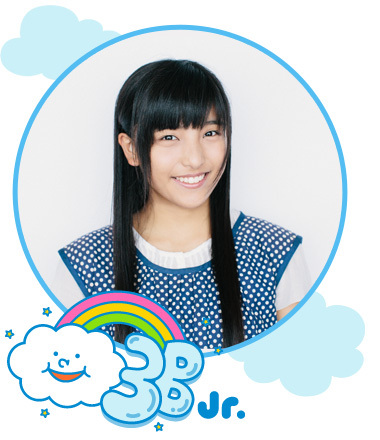 Kanon Amemiya (雨宮かのん) - Born September 20, 1999. Former Team Daioh Ika member, was featured in Nanairo no Stardust. 3. 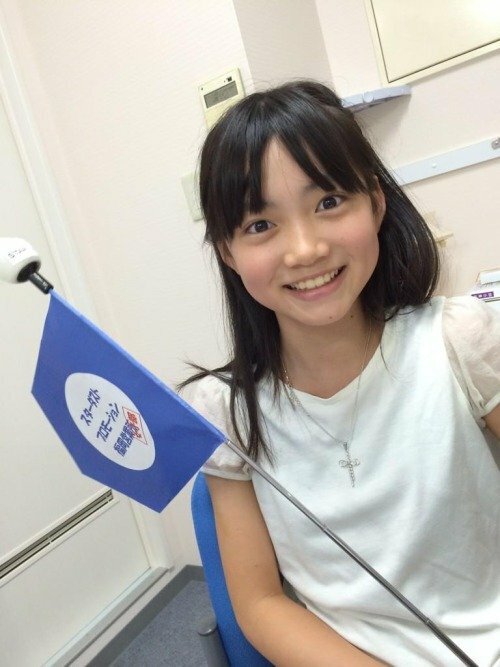 Yuzuki Ichikawa (市川優月) - Born November 2, 2003. 4. Uran (うらん) - Born October 12, 1999. 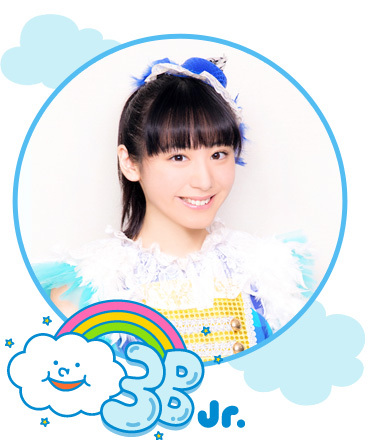 Former Minitia Bears and Team Daioh Ika member, was featured in Nanairo no Stardust. 5. Hikaru Ohira (大平ひかる) - Born July 27, 2002. Former Team Hotaru Ika member, was featured in Nanairo no Stardust. 6. Reina Okuzawa (奥澤レイナ) - Born February 16, 1999. 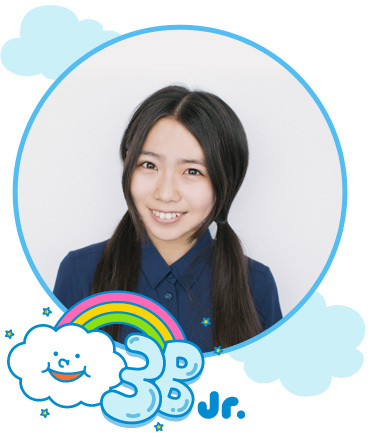 Former Kagajo4s member, was featured in Nanairo no Stardust. 7. Hina Odagaki (小田垣陽菜) - Born January 30, 2002. 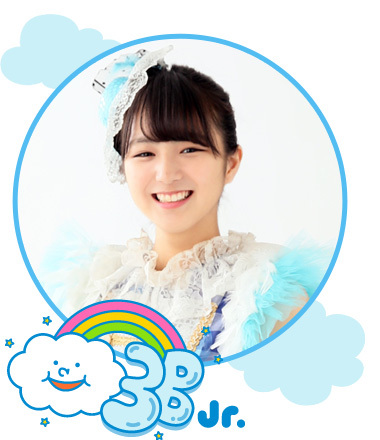 Former Minitia Bears member, was featured in Nanairo no Stardust. 8. 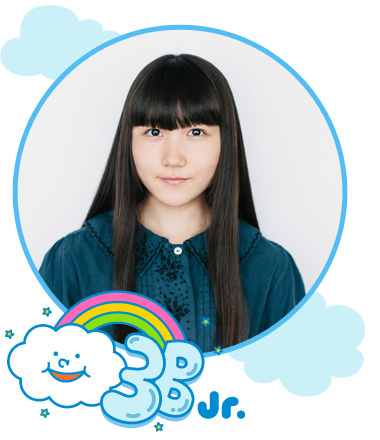 Maika Kimino (公野舞華) - Born December 20, 2001. 9. 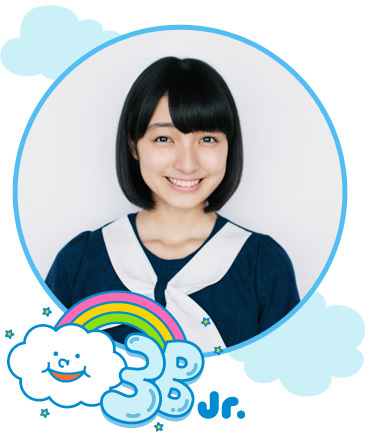 Yuzuki Kurimoto (公野舞華) - Born October 5, 2001. 10. Hana Kojima (小島はな) - Born February 26, 2004. the youngest. 11. Karin Saito (斎藤夏鈴) - Born October 29, 2000. 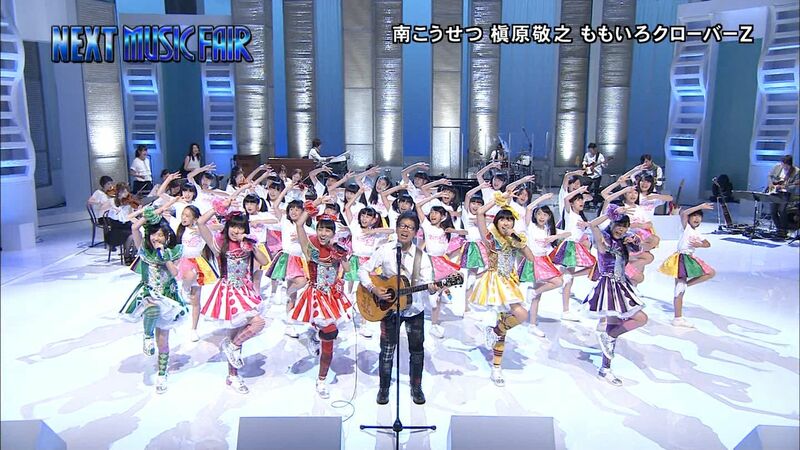 Former minitia Bears member, was featured in Nanairo no Stardust. 12. Moeka Suzuki(鈴木萌花) - Born February 5, 2002. 13. Sora Tsukamoto (塚本颯来) - Born November 7, 2001. 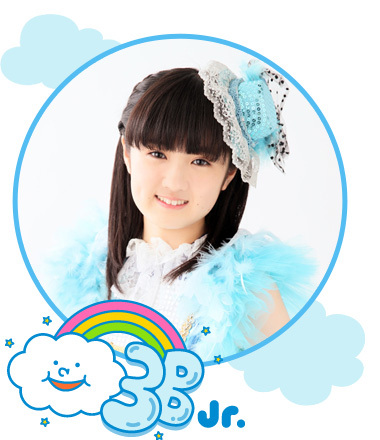 Former Minitia Bears member, was featured in Nanairo no Stardust. 14. Yu Nakamura (中村優) - Born September 15, 1999. Former Team Daioh Ika member, was featured in Nanairo no Stardust. 15. Tomoko Hazuki (葉月智子) - Born May 12, 1998. 16. 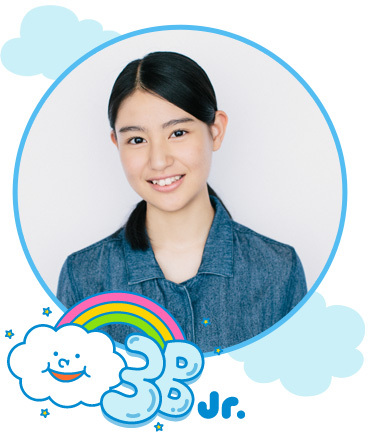 Shiho Hanayama (華山志歩) - Born January 4, 2000. Former Team Daioh Ika member, was fetured in Nanairo no Stardust. 17. 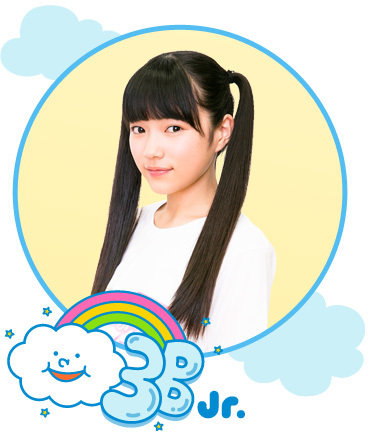 Reina Harina (播磨怜奈) - Born February 13, 2002. 18. Maari (真愛) - Born September 1, 2002. 19. Mihuu (澪風) - Born June 01, 2000. 20. Reo Miyama (宮前怜央) - Born May 11, 2001. 21. Mori Aoba ((森青葉) - Born May 12, 2001. Former Team Hotaru Ika member, was featured in Nanairo no Stardust. they're back! all of team daioh ika members sans Riko and Kaho, some Minitia and Kagajo members, the new 3Bjunior comprised of fleshed out junior idols, let's look forward to the new seeds of Stardust's idol :-* Also with this group we have three different definitions for 3Bjunior group: this one, the old groups (Momo Ebi Syachi Tako) and the section 3 U-17's talent that yet to graduate (Kanon, Narumi Uno, Towa, Rio Koike, etc). that's nice choreography, also I just realized that there were 26 girls in the performance while we only got 21 girls listed in their homepage. I hope those five are included in their new unit. F-Girls? 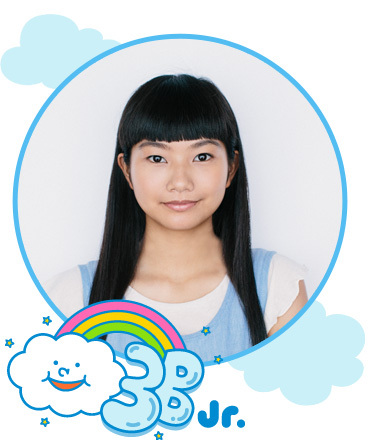 so two of Kagajo members Ami and Reina are back in 3Bjunior, Shiori is a stage actress in Ito Wokashi and An at least is still listed in the stardust homepage. "Batten" is a dialect of Fukuoka. 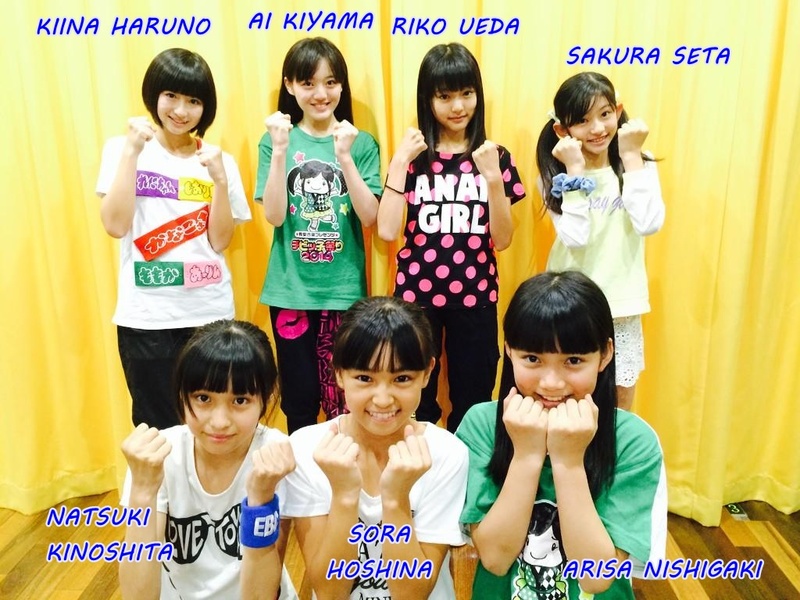 They will make their debut as "Batten Shoujo Tai". 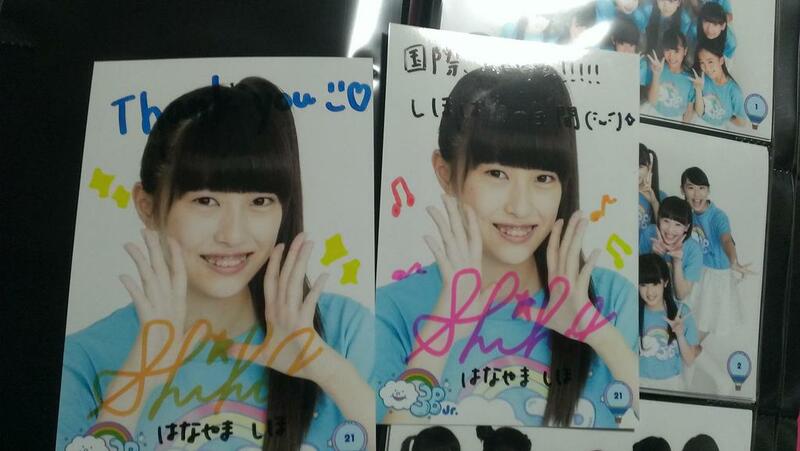 Several new 3Bjunior merchandises were being sold in the live viewing venue. Apparently the five girls is going to be revealed as the new group in Fuji to Yome, their profile haven't showed up yet in Stardust homepage. In 2013, she won Stardust School Girl Audition Grand Prix. Chiyuri was also a member of DELUXE COLORS. In 2013, she won Stardust School Girl Audition SDP Award. 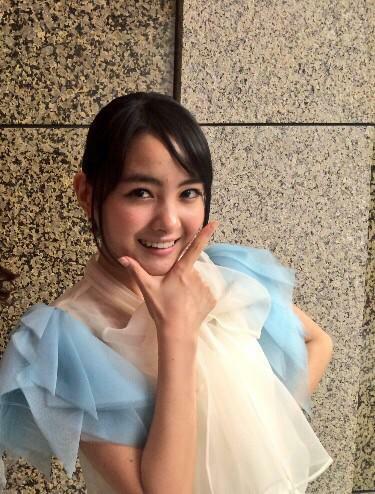 In 2012, she won Stardust Teens Model Audition Rijichou Award. I thought the representative of Nagoya and Osaka would be Syachi and Tako, but seriously, I think Rijicho should have prioritize some original 3Bjunior veterans like Uranchan or Kanon to be included in a unit (Kanon was even already 16), and what's with those dull names, I hope those are temporary. 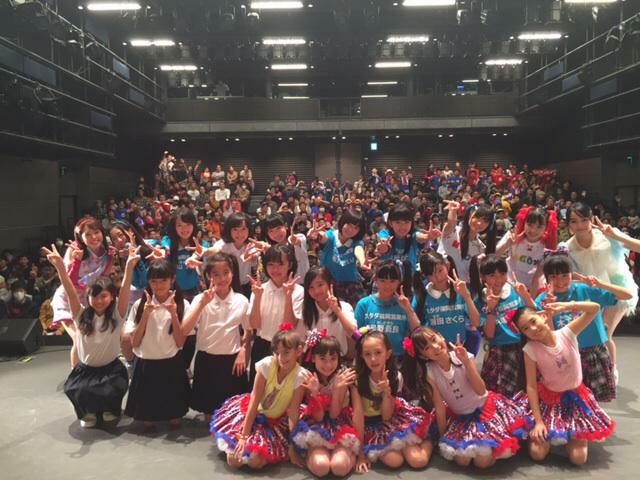 It's nevertheless a great start for their idol department reorganization, let's hope they become the new stardust idol phenomenon soon. Uchiyama Ami has never been listed in the homepage since Kagajo broke up. Because she is very popular with fans, at that time there were many rumors about her. ･Why is she not listed in the homepage? ･She joins the new group? As you said, she will join the new group in Fujii to Yome. I want to form a Momoclo's official younger sister group. We will carry out an audition within this year. Rijicho said to me while crying. 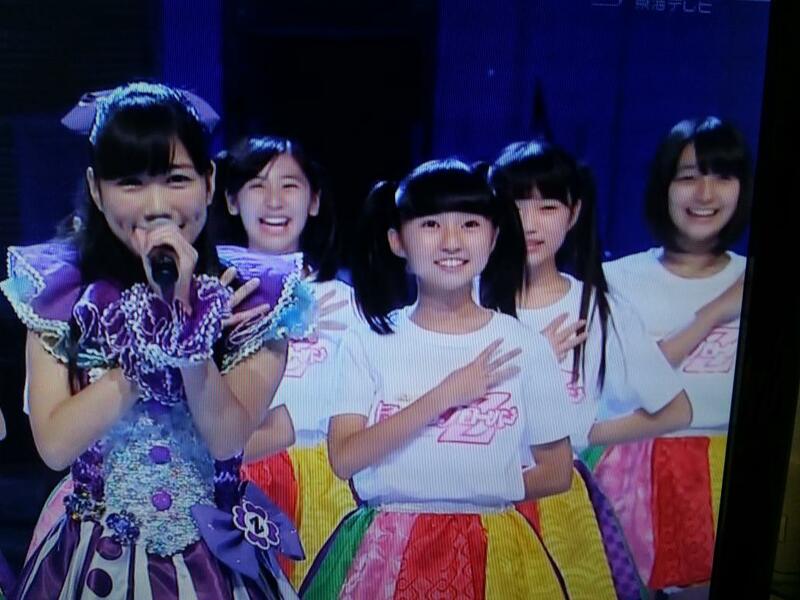 "I want to form a Momoclo's official younger sister group"
They will probably announce that. Because Wakana wanted to become an actress, she left the Otome Shinto. She is eager to become an idol again? Agreed, yeah Amipon and Ruka are somewhat popular, also Luna is the former leader of Minitia, I can see this new group happening. If I'm not mistaken she will play in the upcoming Ansatsu Kyoshitsu movie and several other doramas, besides she is on the more actor-oriented section 1, but knowing Rijicho, he will put up a great surprise in this Fujii to Yome, hopefully. I'm overwhelmed by the amount of people and new groups. 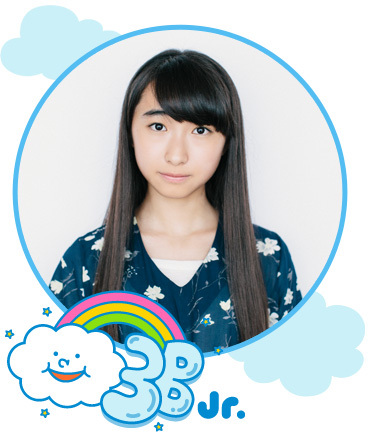 I also thought Ebichu (and if not them, then definitely Syachi) was Momoclo's official sister group. It just feels like hype to say it about an upcoming group. I hope they can make something interesting with them and each group will have a different style or something unique to make it worth it. It seems like idol overdose if all those groups are the same. The same as each other or the same as other of the 1000 idol groups out there. In my opinion Momoclo, Ebichu and Syachi work because they bring something new to the table. 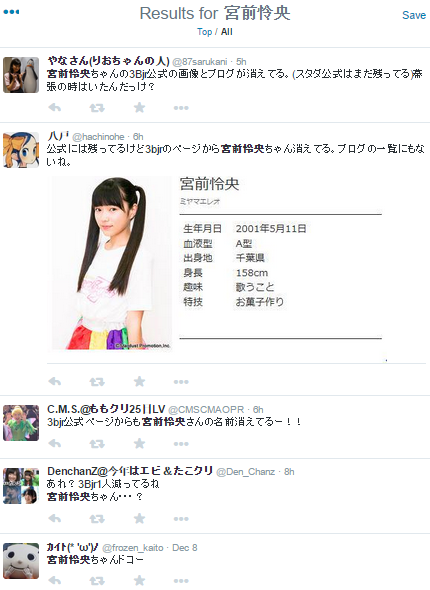 I'm still undecided about Tako so all this many groups make me wary. I don't want to sound pessimistic I just worry because there are sooooo many idols out there.